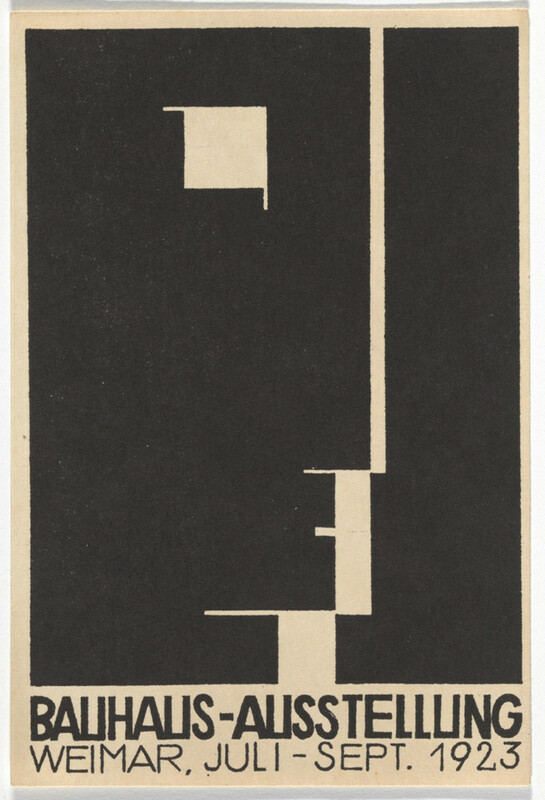 Bauhaus postcards from 1923 – Life moves pretty fast. In 1923, the Bauhaus was preparing for its first exhibition, where Walter Gropius, the school’s founder, would extol the benefits of industrial mass production. 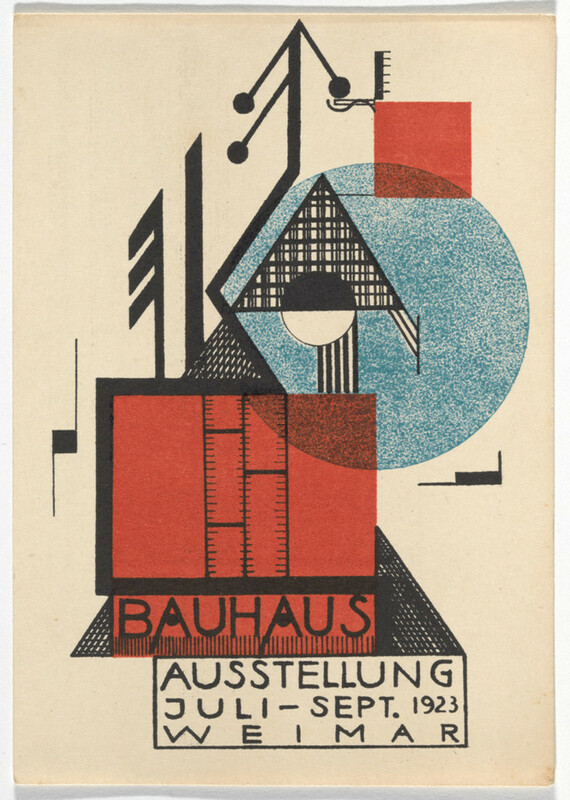 To publicize the events, the Bauhaus mailed out beautiful postcards. 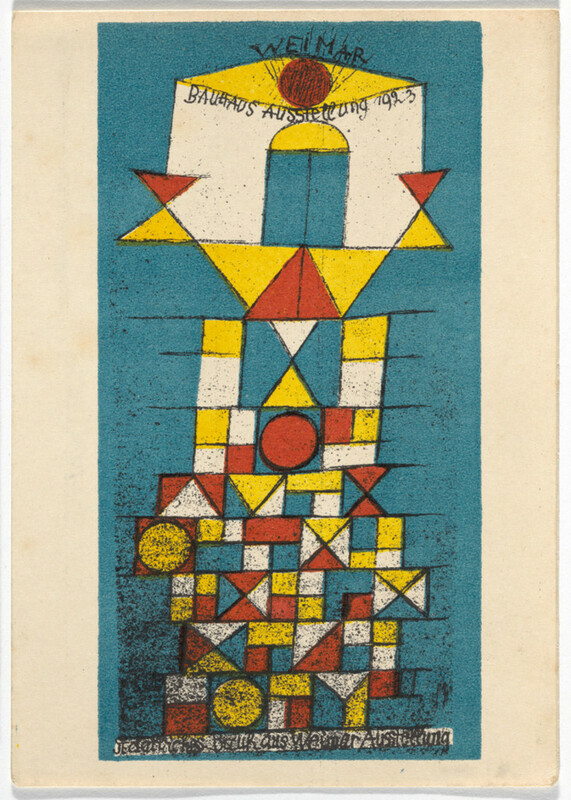 Sixteen Bauhaus teachers and students designed postcards illustrating the German school’s ideas about art and technology. The downsized posters are full of sharp geometric drawings in black, red, yellow, and blue. Some look like rough sketches of architectural renderings, others like Cubist faces. New York’s Museum of Modern Art (MoMA) recently acquired 20 of these mini adverts, from a Weimar family who inherited the unsent cards from a relative who attended the original show. 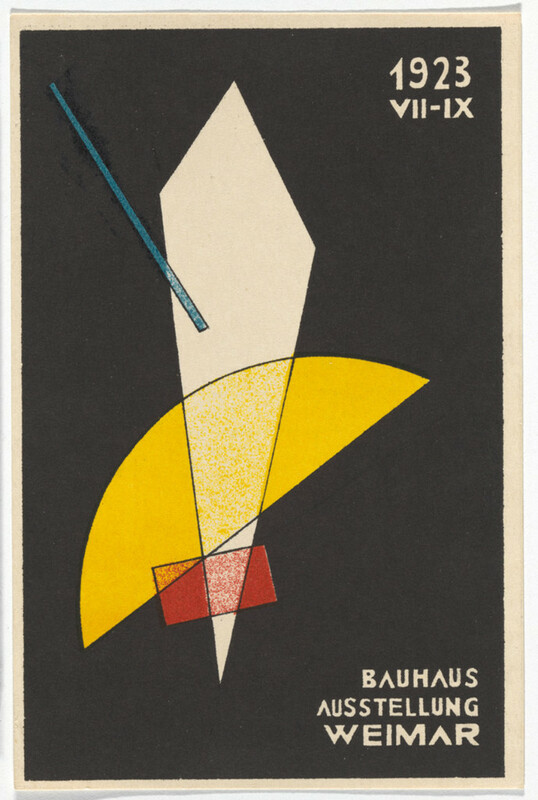 Juliet Kinchin, curator of MoMA’s Architecture and Design department, says the set of Postkarte fur die Bauhaus Ausstellung Weimar 1923 neatly encapsulate the ideas from the Bauhaus movement. See the article in full and more postcards here.